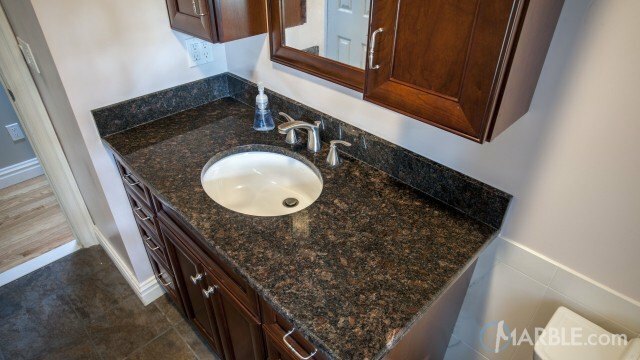 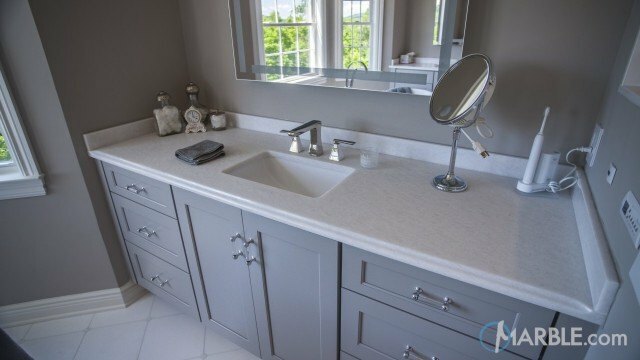 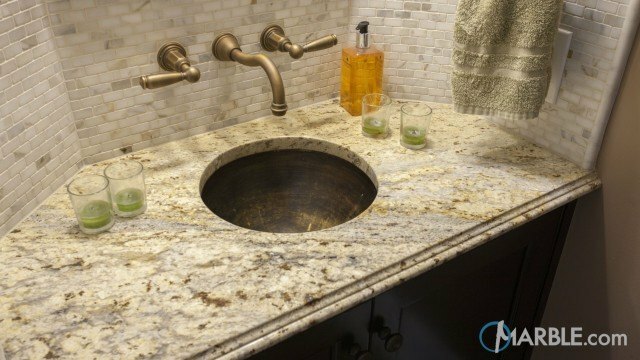 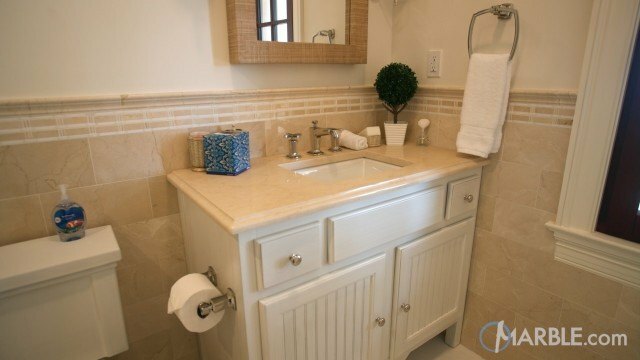 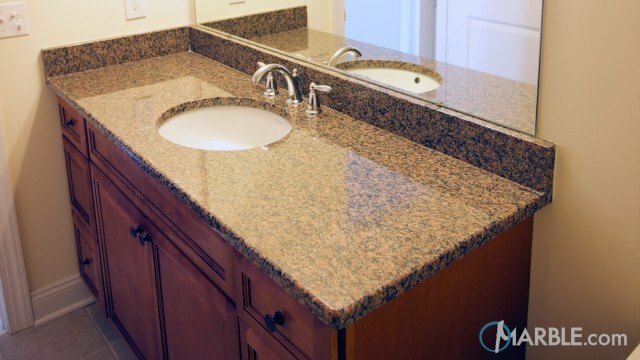 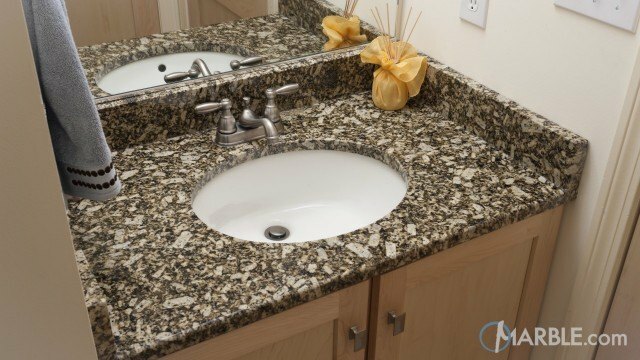 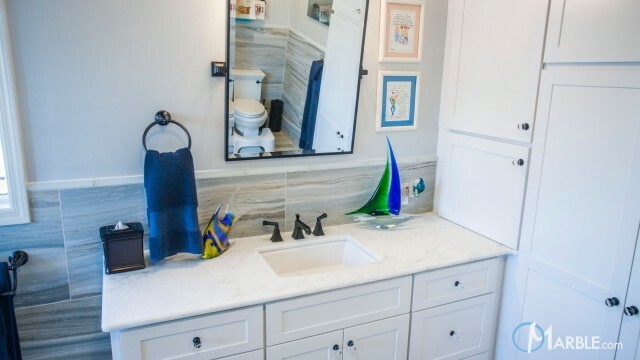 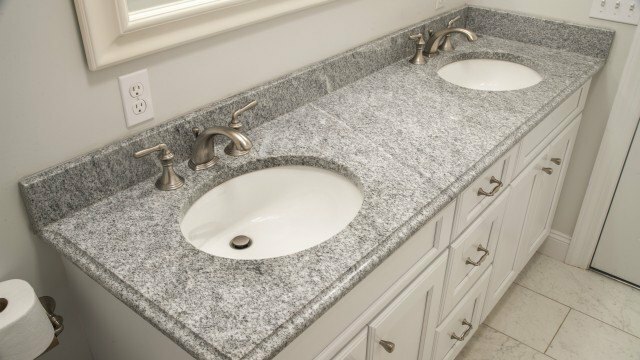 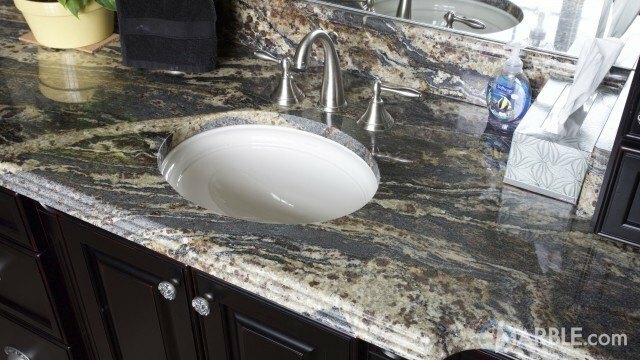 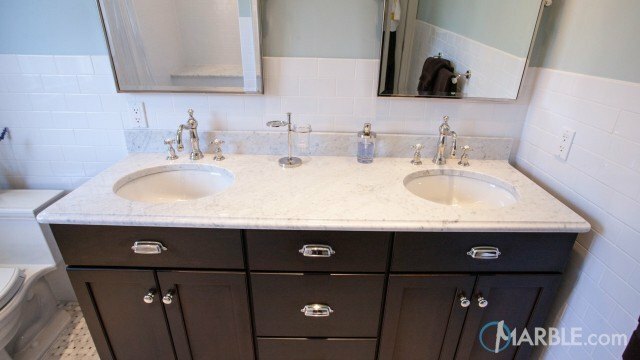 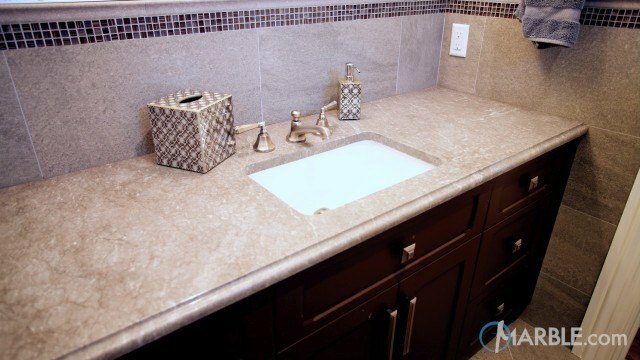 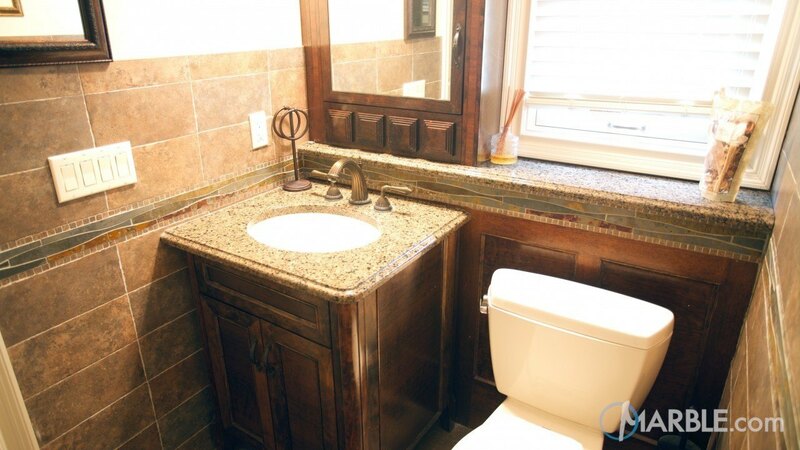 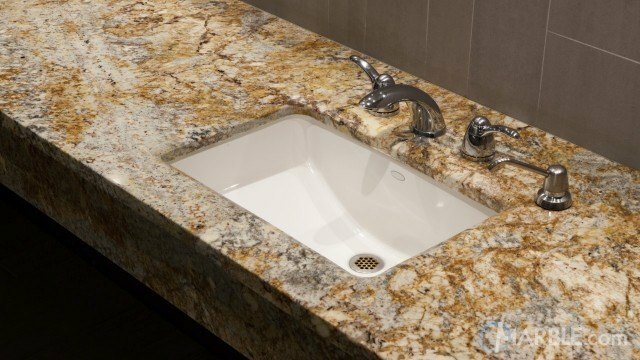 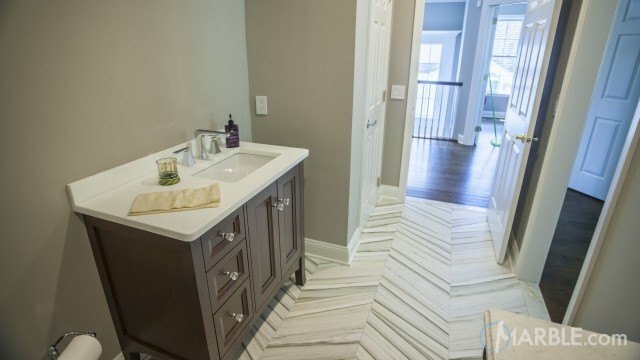 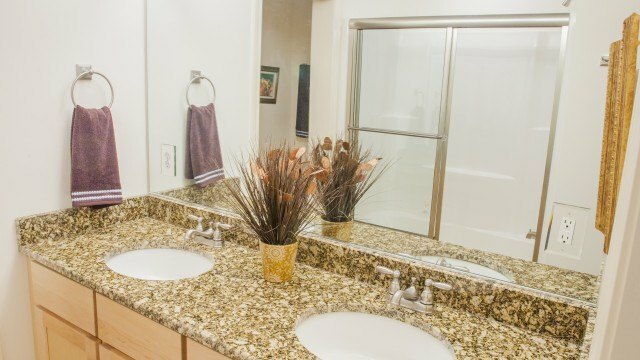 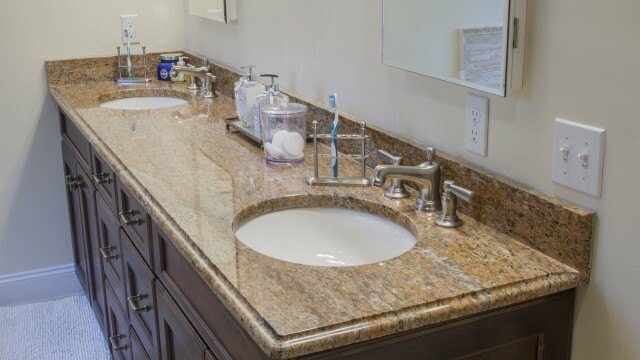 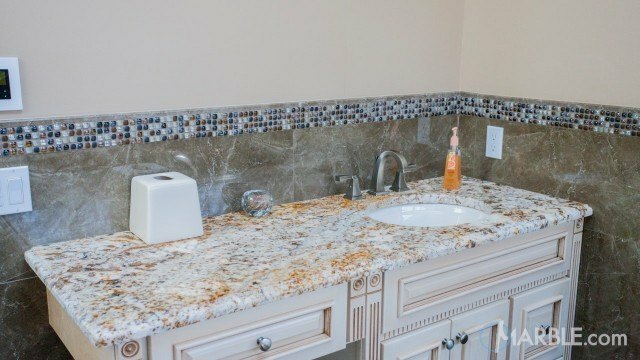 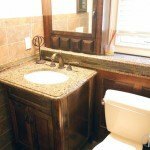 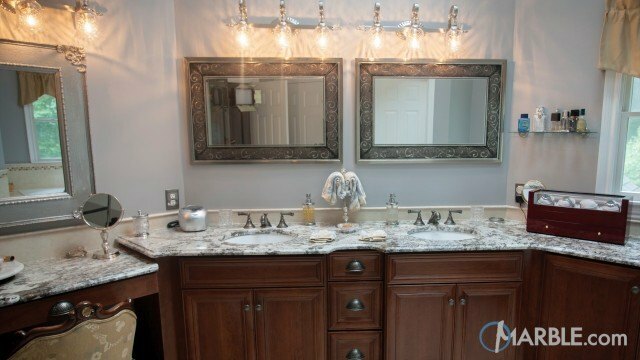 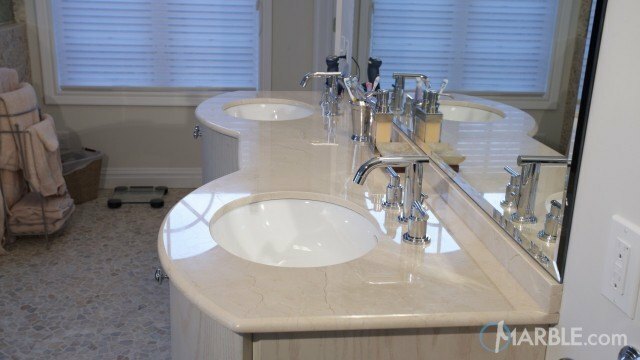 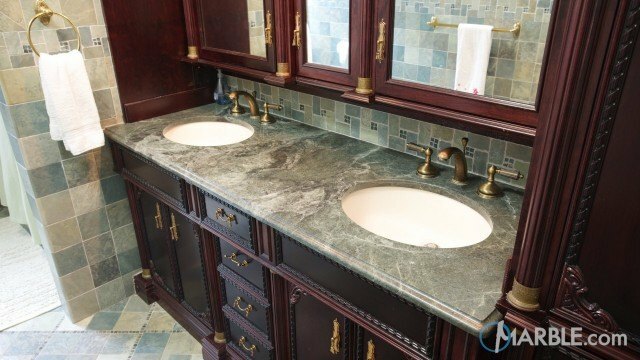 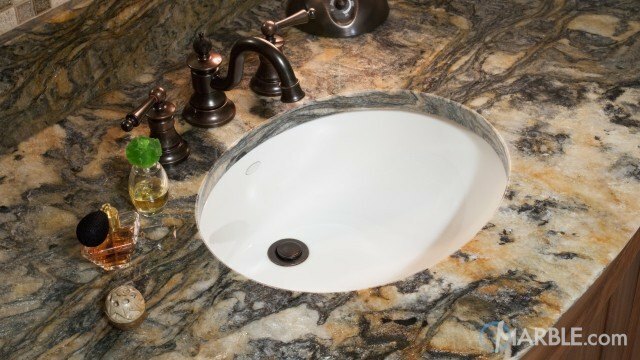 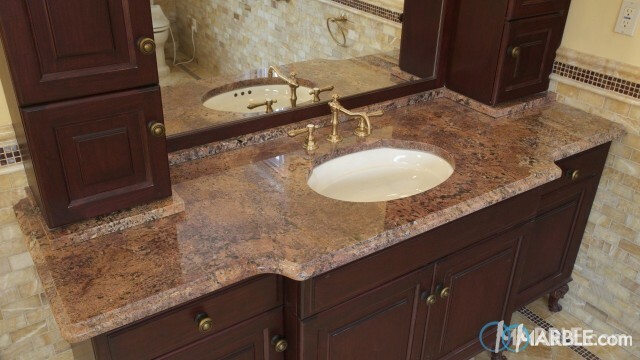 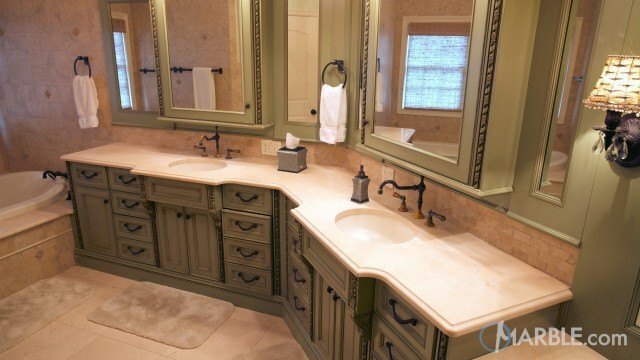 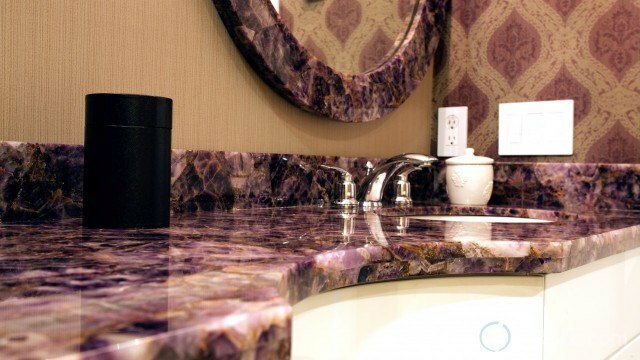 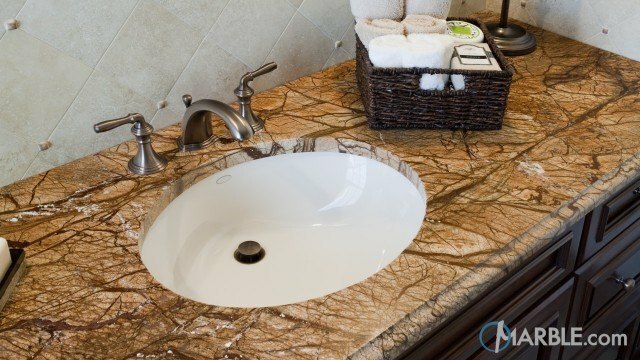 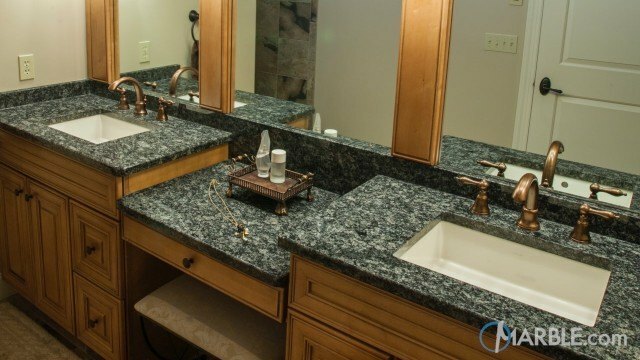 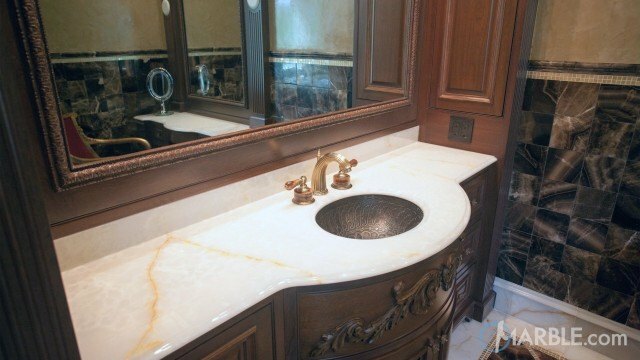 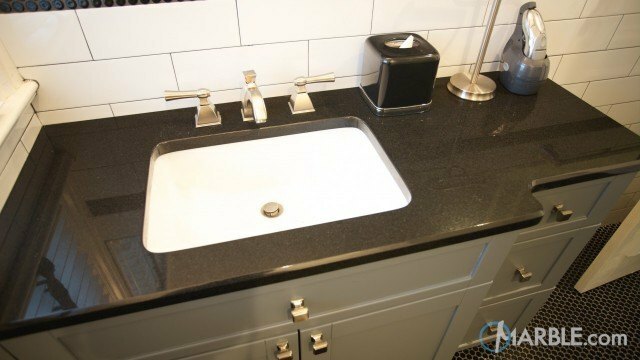 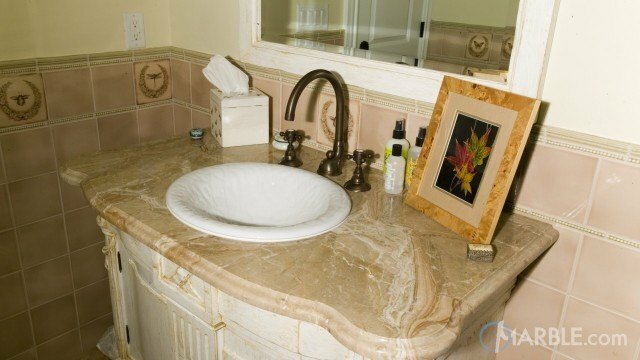 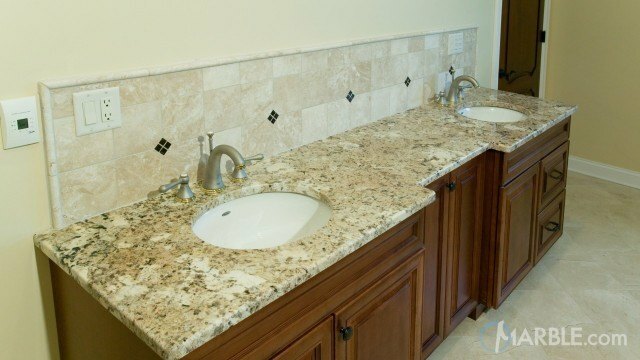 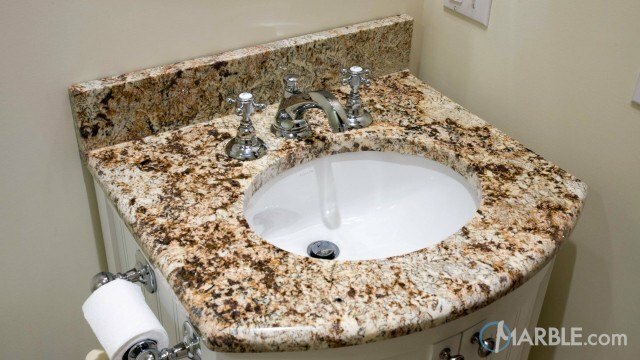 This awesome guest bathroom features a dark wooden cabinet covered with Giallo Padova granite. 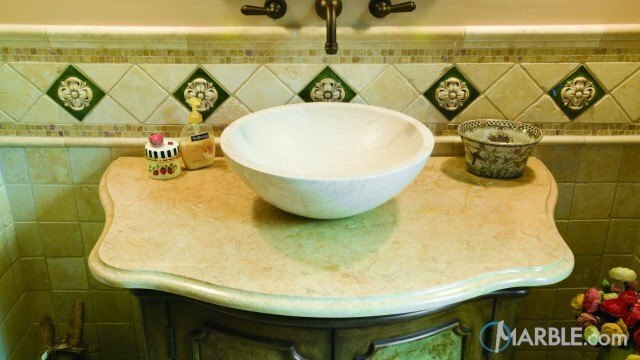 The stone around the cook top features an Ogee Edge. 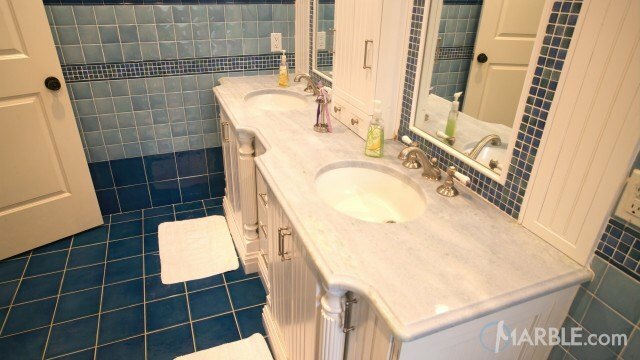 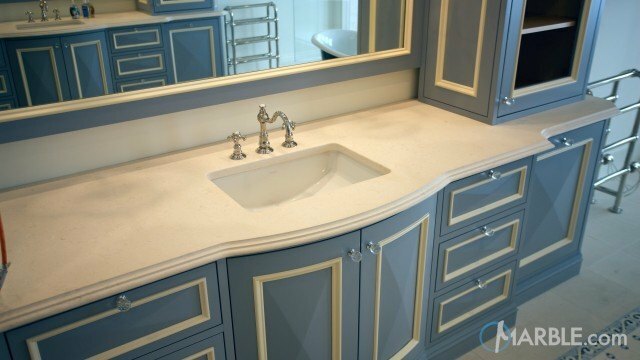 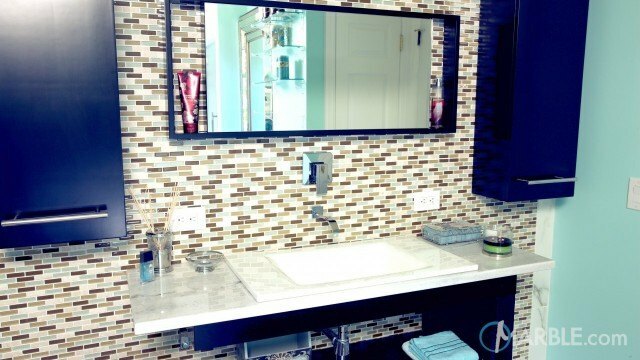 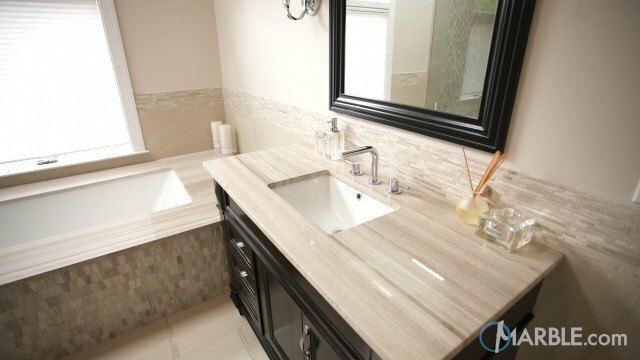 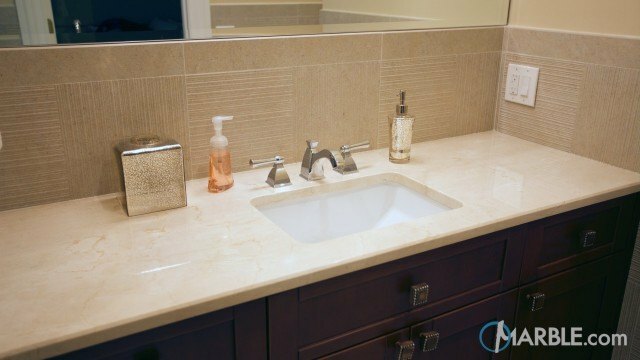 Tiles line the wall and the floor and the wood of the sink matches the wood in the cabinet. 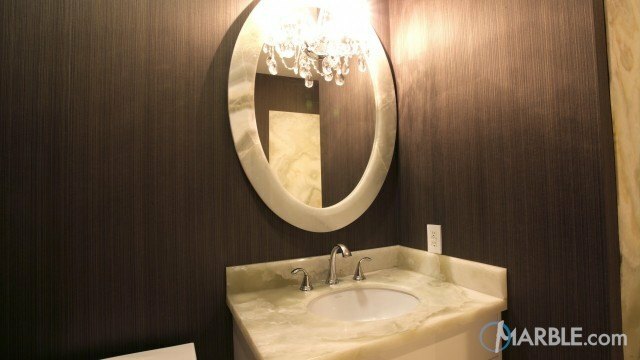 Bronze fixtures round out the ambiance of this bath.